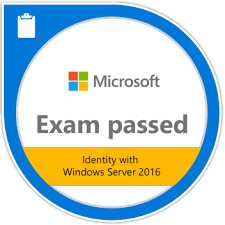 So the first exam of the year is 70-742 – Identity with Windows Server 2016. A very good exam on Active Directory and Group Policy. I am taking the Window Server 2016 MCSA exams out of order, only because that seems easier for me. 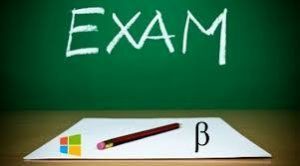 I am actually going to take an Exchange 2016 exam next and then come back to the other two Windows Server exams. I am so glad I have finally found some time to get to these exams. From what I can tell so far, they are not as difficult as the Server 2012 exams and are a fair test of knowledge. Be the first to comment on "Passed 742 exam"